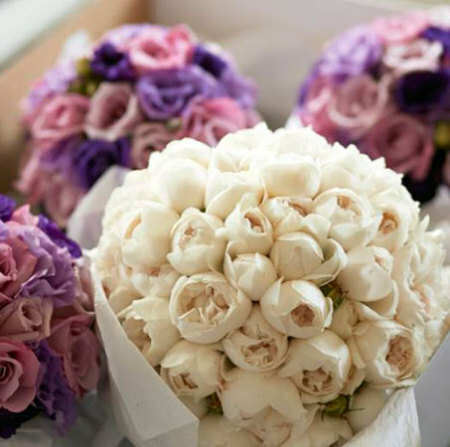 The Wedding Bouquet: Based on a medium sized clustered wedding bouquet in flowers and colours of the bride and groom`s choice. 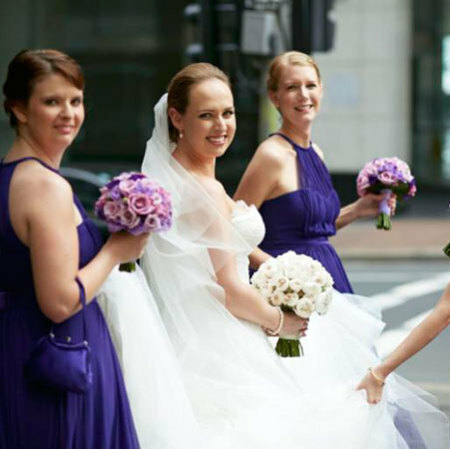 The Bridesmaid Bouquets: Based on a small sized clustered bouquet in flower and colour variations of the bride`s bouquet. Buttonholes: Men`s buttonholes using a feature flower from the wedding bouquet (groom`s buttonhole a slightly different variation to the others). Corsages: A wrist or dress corsage using feature flowers and colours to match the bouquets. Throwaway Bouquet: A small posy using flowers and colours from the wedding bouquet. 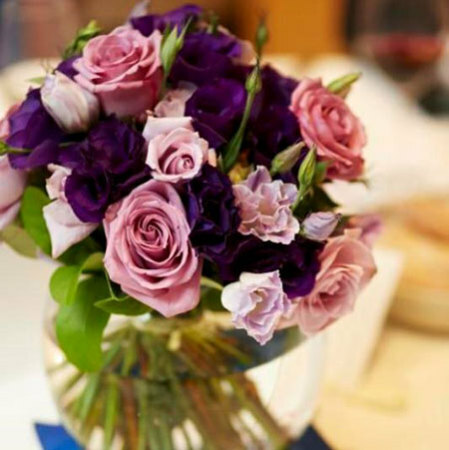 Table Centrepieces: Six medium sized floral posies in fishbowl vases to decorate either your guest tables or bridal table. 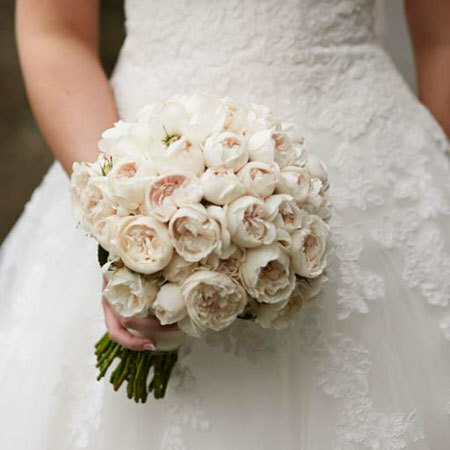 Order Cut-Off: Minimum 14 days prior to wedding to ensure supply of requested flowers. 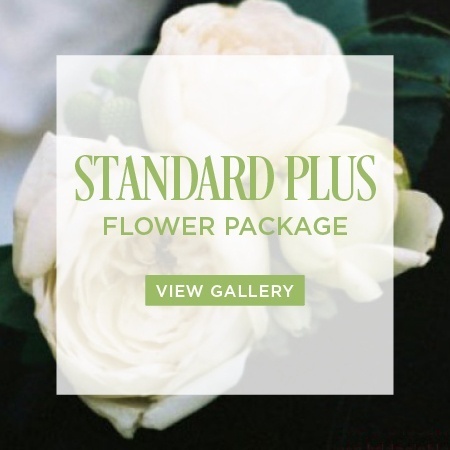 Once you have purchased this package, our wedding florist will get in touch directly to confirm your preference of flowers and colours. Any additional comments you would like to make can be added to the `Special Delivery Instructions` box when ordering online. Questions? 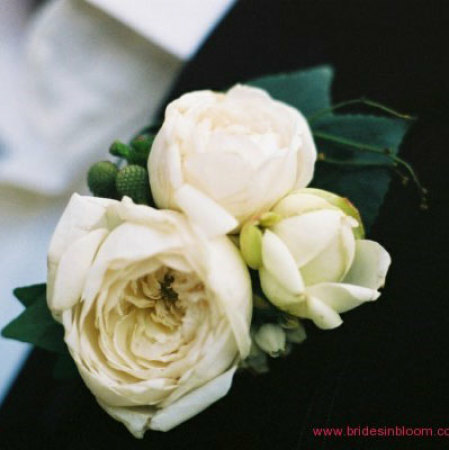 Send us an email directly atenquiries@bridesinbloom.com.au. 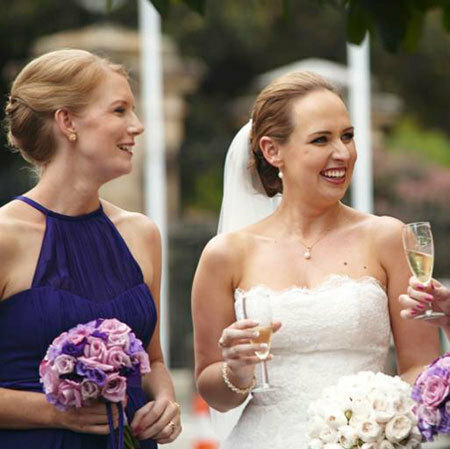 We look forward to making your wedding planning smooth, simple and straightforward!